The deadliest war of the last century gets the definitive Discover More treatment. A gripping interactive approach that makes you feel as if you’re really there. 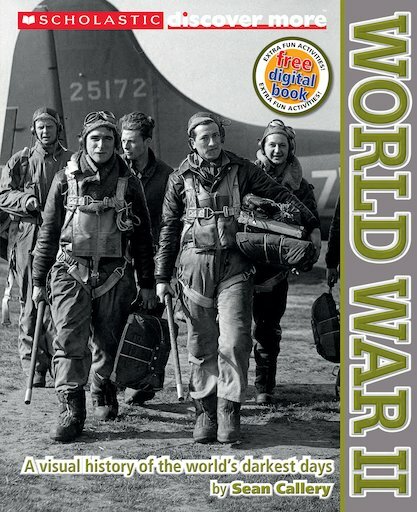 This amazing look at the Second World War has all the historical facts. But that’s just the start. You also get: moving first-hand accounts from soldiers and civilians. Maps, timelines, archival photos and a focus on wartime objects. We especially love the detailed cutaway pictures that let you see inside vehicles such as the German U-boat, Sherman tank and Liberator bomber. There’s even a free digital book full of activities and extras. Yup, we said it: more.